Introduction by Dr Matthias Kaiser Ph.D (Linguistics), Post Doctoral Fellow in Cognitive Science – University of California Berkley and Stanford University Palo Alto. It’s a well known story within the therapy community. Stephen Brooks gave away his house, car and all of his possessions to ordain as a Buddhist monk in the 1990’s and spend 8 years meditating by a waterfall in the jungles of northern Thailand. 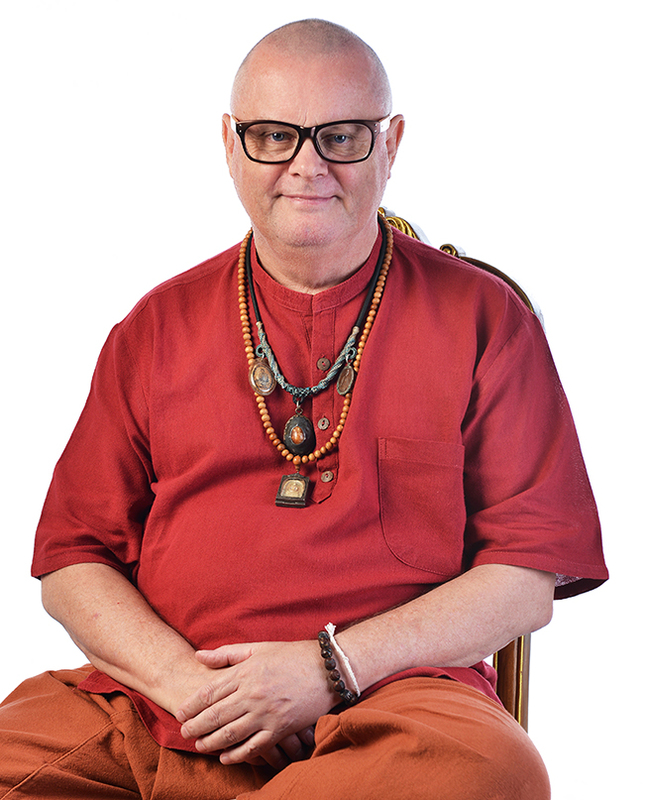 He gave up his successful life in London to discover if Buddhist teachings could be integrated with western psychotherapy. After eight years of mindfulness meditation he discovering the answer and returned to teaching in the west so he could share this wisdom with us. Since then, his highly effective way of interacting with people has been researched and thoroughly tested and has been shown to produce dramatic results in others in only an hour of conversation or teaching, including freedom from long term problems. Stephen’s approach to living is an amazing blueprint for living a happy and stress-free life. You will experience Stephen working with members of the public and group who are seeking a happier life and he will explain in detail what he is doing in his conversations and interactions. This is a fully immersive experience where you will witness Stephen transform people’s lives with his wise and compassionate teaching. You will become an integral part of the experience yourself as you contribute to the analysis of his techniques and skills and be able to share and practice these new abilities with other members of the group. It will be a truly life changing experience. Stephen’s approach to Buddhist Psychotherapy is based on the Buddhist principles of compassion, loving kindness and non attachment integrated with the skills and techniques of modern day psychotherapy, especially the utilisation of naturally occurring trance states as pioneered by Milton H Erickson. Each day you will watch Stephen working a full 1 – 2 hour therapy session with a real client. You will then discuss in small groups what happened in the session and break down everything Stephen did, step by step. Then a spokesperson from each group will join Stephen at the front of the group as he breaks down the session in more and more detail. Over the period of the course, patterns will emerge and you will start to understand the Buddhist principals being applied and why they work as therapy when combined with naturally occurring trance states. As the course progresses you will discover a blueprint of the way Stephen works and be able to use it for yourself. Then as you develop more confidence and competence in Buddhist Psychotherapy you will have the opportunity to put into practice what you are learning with each other in small exercise groups. EARN A PRACTITIONER DIPLOMA IN BUDDHIST PSYCHOTHERAPY! NOTHING ELSE TO PAY UNTIL AFTER YOU HAVE GRADUATED! THEN PAY IN 9 MONTHLY INSTALLMENTS AFTER GRADUATION! The Buddha has given you these words so you may heal others and you will teach his wisdom over seven lifetimes. — His Holiness the 16th Gyalwang Karmarpa of Tibet to Stephen Brooks (1977). 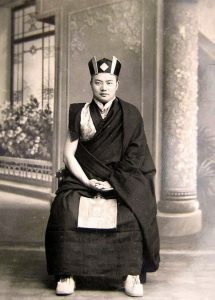 In 1977 at the last Black Hat Ceremony held to bless all sentient beings, His Holiness the 16th Gyalwang Karmarpa of Tibet planted the seeds of compassion and wisdom in the heart of Stephen Brooks and raised him above the lower realms of existence for seven lifetimes. Many years later in the late 1990’s as a Theravada Buddhist monk in the jungles of northern Thailand, the seeds of compassion and wisdom grew from within, and Stephen created a new approach to therapy integrating Buddhist principles and values with modern day psychotherapy. Be happy and others will be happy too – you already have happiness in your heart, this is your greatest gift. 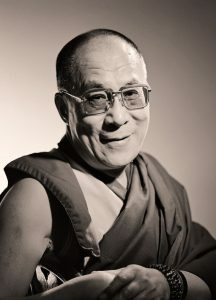 — His Holiness the Dalai Lama to Stephen Brooks (1993). Non Attachment changes the way that thoughts and feelings affect each other. It offers freedom from trauma, worries and negative emotions effortlessly and without relapse. The changes are recognizable and dramatic. You will experience this with Stephen on this course. The course is open to anyone with a heart to heal and a willingness to commit to their own personal development for the benefit of others. Members of the public including people from the caring professions, therapists, psychologists and educators are most welcome. Dates: Saturday 20 to Sunday 28 of July 2019. Times: 9.30am – 4.30pm each day. Paid with a 10% deposit when you sign up, then nothing more to pay until after you have finished the course. Balance then payable with 9 installments of only £260 per month.